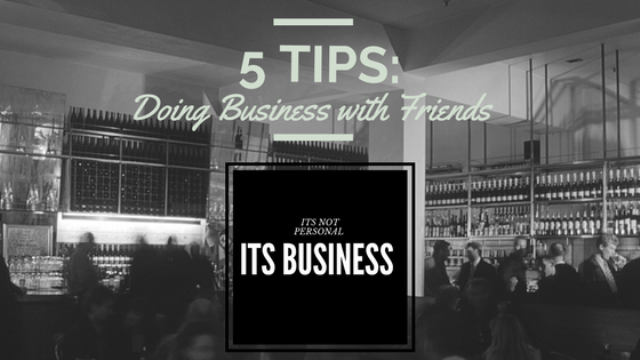 5 Tips: Doing Business with Friends. Its not Personal it’s Business. While it’s easier said than done, when trying to balance making decisions and doing business there’s a fine line you walk to keeping it strictly business. In today’s time, your network is essential to your net worth, so it’s inevitable that your friends will also be business colleagues, partners, and clients at some point in your relationship. In order to maintain the relationships you have with your friends, it’s important that you set personal ground rules if you want your friendships to withstand your business transaction. Here are 5 tips that will help you maintain healthy friendships while doing business. Everyone will not see your vision, so it’s important that you give your friends the same respect that you would give a stranger that you were pitching. Meaning do your research and prepare, just because you’re friends doesn’t mean they’re obligated to buy into what it is you’re selling and vice versa. A gem I discovered was a book called, The Four Agreements. One of the agreements let’s us know to not take anything personal. It will help you better master those emotions. Check it out here! Your friends are not obligated to buy into your idea; there are many reasons that people say no; the idea doesn’t align with their brand, timing, etc. Just because they say no, it’s not personal, it was a business decision. This decision shouldn’t impact your friendship, just keep it moving. Try to understand their brand, mission, and vision for their brand so next time to can pitch them on ideas that align with their brand. Always have a contractual agreement that outlines the expectation of the business relationship. It’s all fun and games until something goes wrong. Be consistent and ask for a contract no matter whether the deal is for $100 or $10,000. This will eliminate a lot of headaches, misunderstandings, legal fees and battles later. Don’t bring business to happy hour. Once you have successfully closed the deal, it’s important you understand the boundaries and leave the business at the office. Before entering into a business relationship you and this person were friends. Know when to cut off the business and when to turn it on. There are a time and place for everything. In the end, sometimes thing go wrong due to circumstances outside of your control. Your friendship is more important than business. 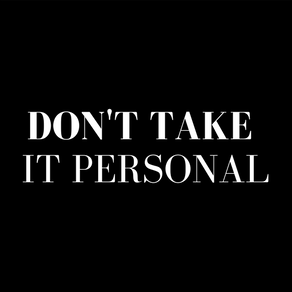 So remember not to take it personally, its business. Understand the lesson and don’t make the same mistake.